Bell Aliant, one of North America's largest regional telecommunication service providers and the leading fiber-optic service provider in Canada, has set a goal to offer Fiber to the Premises (FTTP) technology to more than 650,000 customers by the end of 2012. Known as "the future of connectivity," FTTP technology sends signals from a broadcast distributor or Internet service provider directly to the home using fiber-optic cable. This technology is superior to traditional telephone and cable wires because it uses light to carry Internet transmissions and television signals at rates that are simply not achievable through legacy transmission media. Congestion is alleviated, enabling transmission speeds of more than 200 megabytes per second, so that customers can enjoy some of the fastest download and upload speeds available. 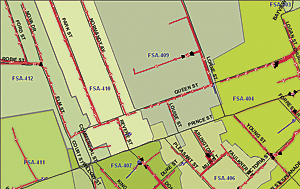 "Reaching 650,000 premises requires the design of approximately 2,400 fiber-serving areas [FSAs]," says Shelley Scott, GIS team lead, Bell Aliant. "The existing process was not scalable to meet our three-year build schedule, yet cost-containment initiatives meant that taking on additional staff was not an option. We needed to develop and implement a tool that could automate tasks, with a goal to reduce manual design efforts by 25 percent." 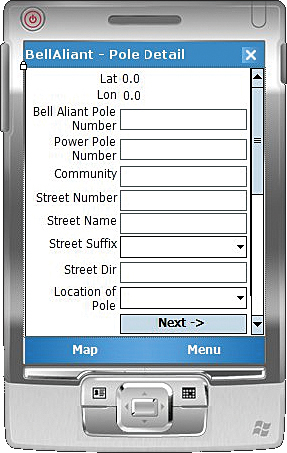 After an initial trial period, Bell Aliant selected Network Engineer from Telcordia Technologies, Inc. (Telcordia is now part of Esri Partner Ericsson of Stockholm, Sweden), along with Design Assistant, a GIS-based plan-to-provision solution that enables customized design wizards to be developed in accordance with an organization's unique engineering rules. 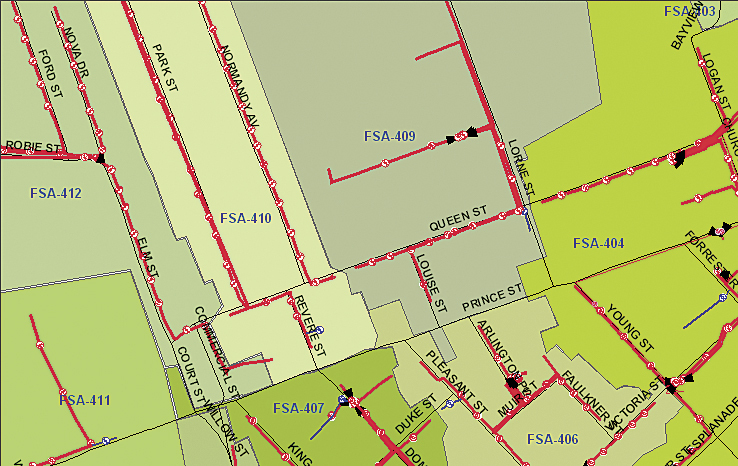 Since this was the first time that Bell Aliant had worked with a GIS-based solution, the company joined forces with Telcordia and Esri Canada Limited's professional services team to identify requirements, undergo training on the new technology, and create custom design wizards. Bell Aliant also decided to use an advanced fiber-optic cable system with factory-terminated network access points along the length of the cable, which reduced installation time by 50 percent. However, the use of this cable meant that the engineering design had to be extremely accurate. In response, Bell Aliant customized Telcordia's Design Assistant Wizard module, which automated the design of the FSAs including cable and connection counts. "The widespread rollout of FiberOP represents a key component to future-proofing our business because it allows us to offer the fastest triple-play broadband service to a wider customer base," says Scott. "By automating manual design processes, we've been able to reduce costs, expand design capacity, and deliver our services to an increased number of residents in a significantly shorter time frame." Now, when a customer calls to inquire about service, a single database can be referenced immediately to verify the customer's service area. Since the data can be accessed remotely, engineers located in different provinces throughout Atlantic Canada can easily share data. "Our data collection process used to be paper driven, and the collected information would be transcribed three separate times," says Scott. "Through mobile technology, we've eliminated the margin for error, and our data integrity has improved 25 percent. This not only ensures that we bill the right customer but also provides us with a more accurate snapshot of our assets across Atlantic Canada." "Storing data in a central repository delivers a marked improvement in the availability, quality, and use of information across the enterprise, from engineering to customer qualification to service assurance," says Scott. "Over the next few years, we will continue to adapt our operational model to further increase the value of our information resources."